Many of our neighbors are putting their lights and decorations away, but for us Catholics, Christmas has just begun! Detail from a mosaic in the Basilica of the Transfiguration, Mt Tabor, Israel. 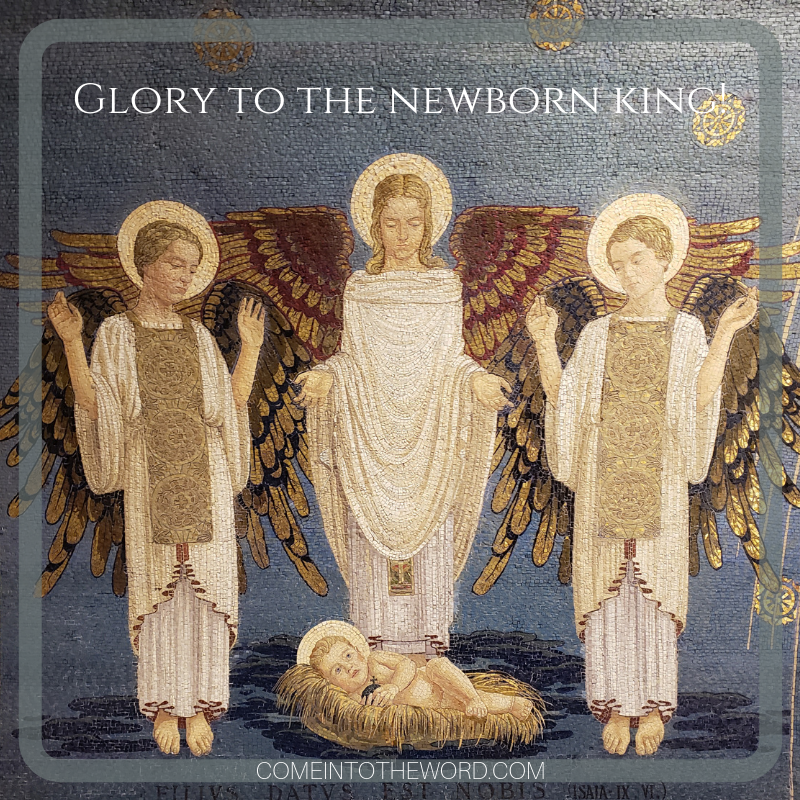 During this time, we’re invited to reflect on what it means for Jesus to be born in us . . . that we are part of God’s family . . . that everyone can be part of that family . . . and on what it means to live in Christ, by the light of his life and the strength of his spirit that we have received in Baptism. There is a lovely guide to praying with these Sunday readings on the USCCB website. I encourage you to take advantage of it, or to read and meditate on the readings in your own way. Apologies to those who have missed my blog. I am taking a break while I finish work on a book I am writing. More on that later! I expect to be back to this in a few weeks. May the Lord bless you in a special way during the rest of the Christmas Season as you welcome him in a fresh way into your heart.